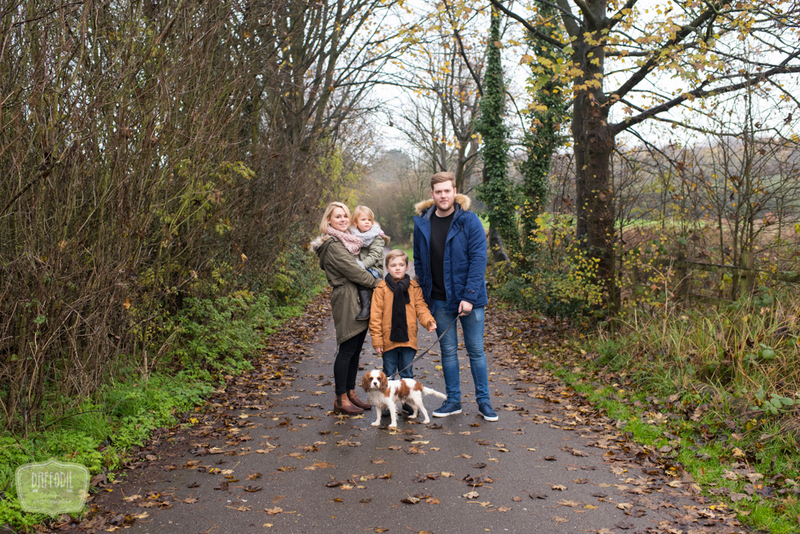 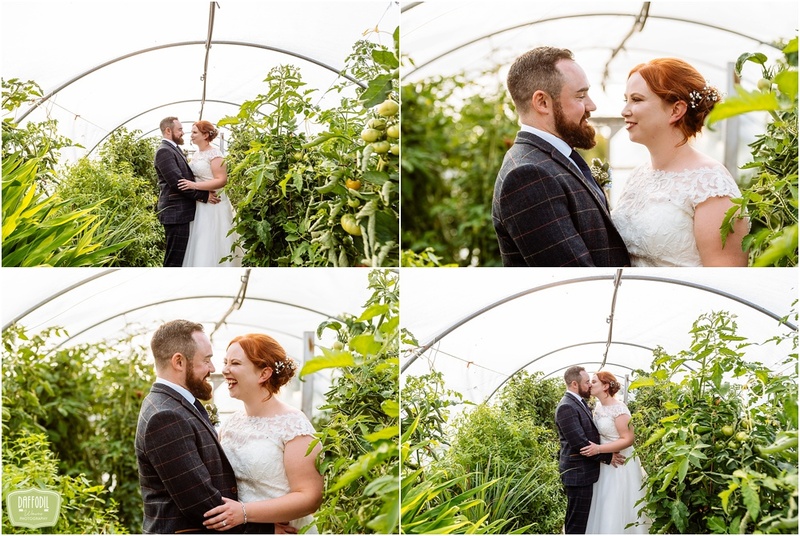 As a busy Birmingham wedding photographer I always love shooting tipi wedding photography and I always love working with couples like Bridie and Alex. 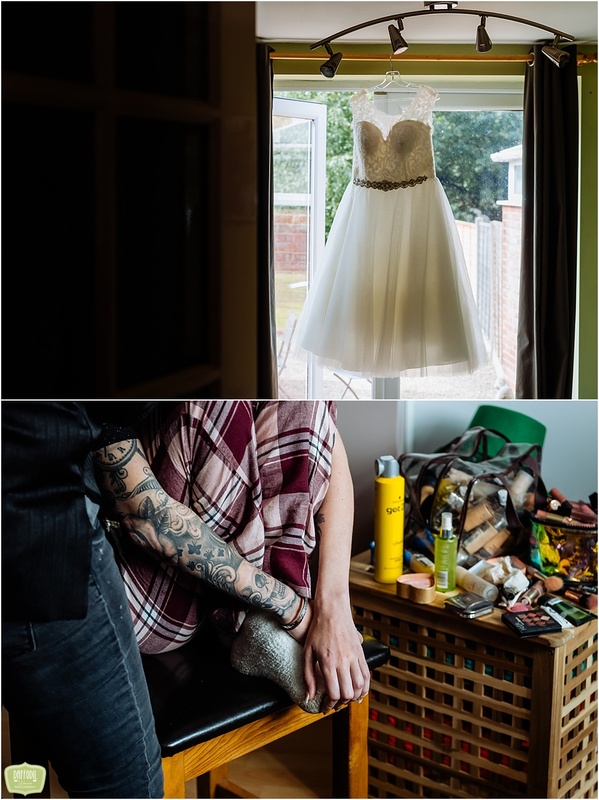 Let’s start at the beginning of Bridie and Alex’s day. 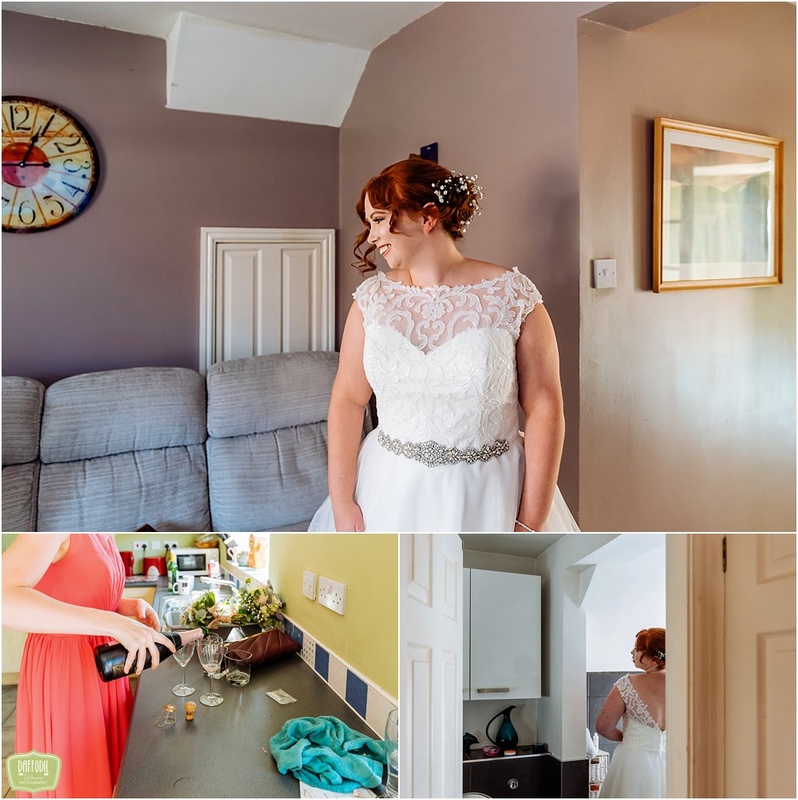 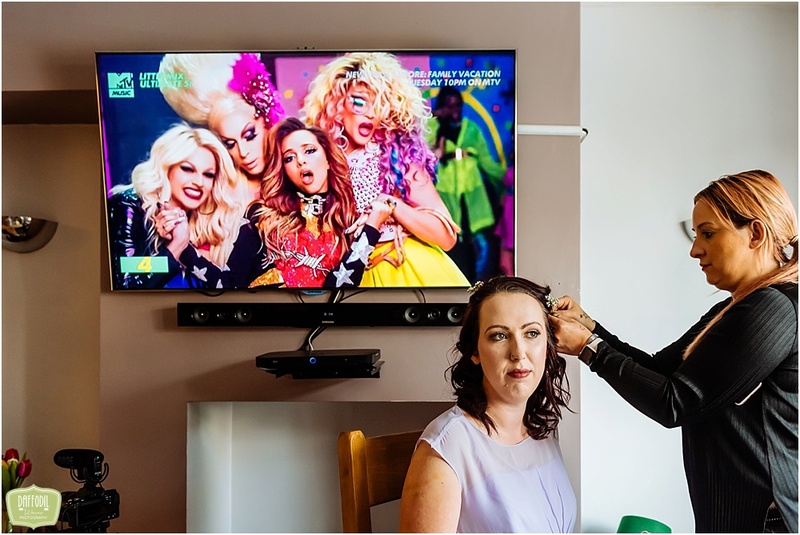 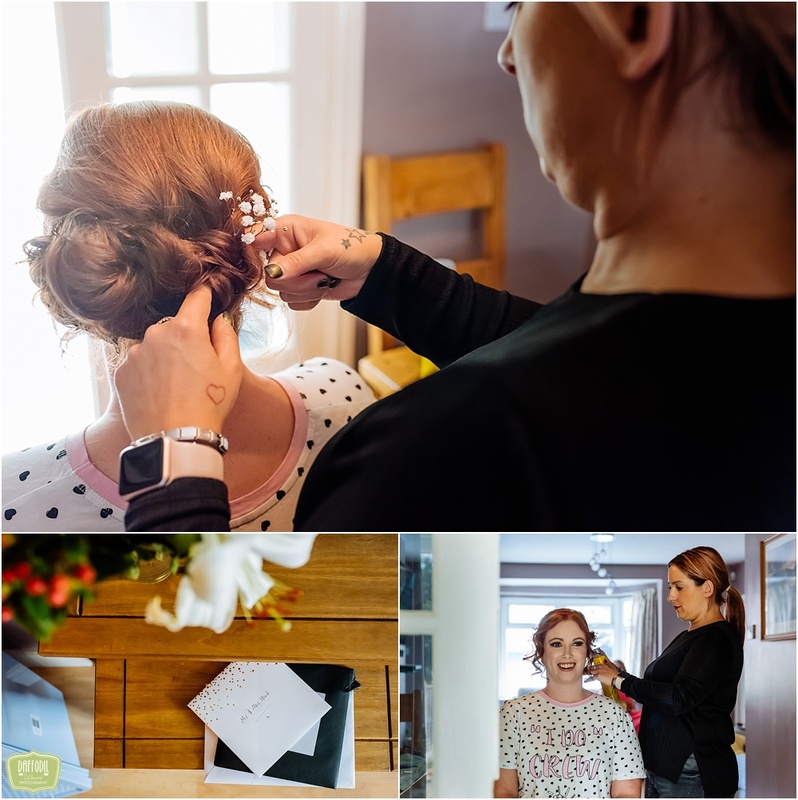 We arrived early so we could get some images of Bridie and her bridal party getting ready at home. 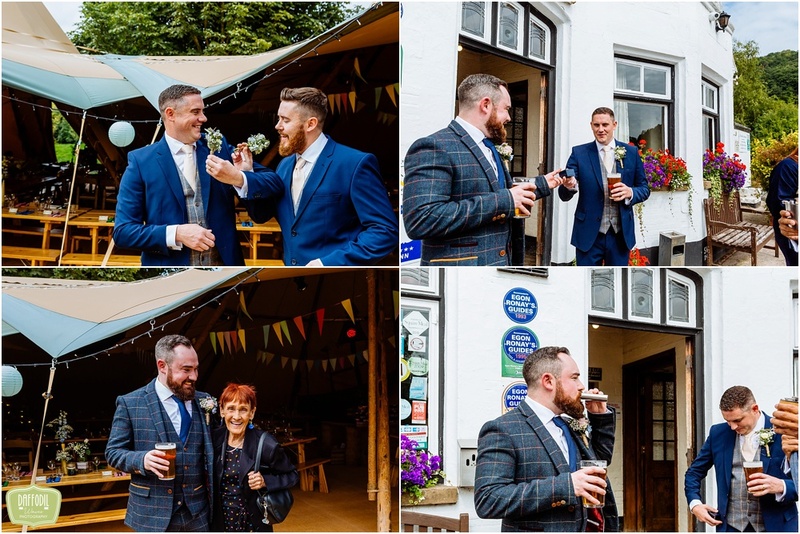 Everybody was in good spirits. 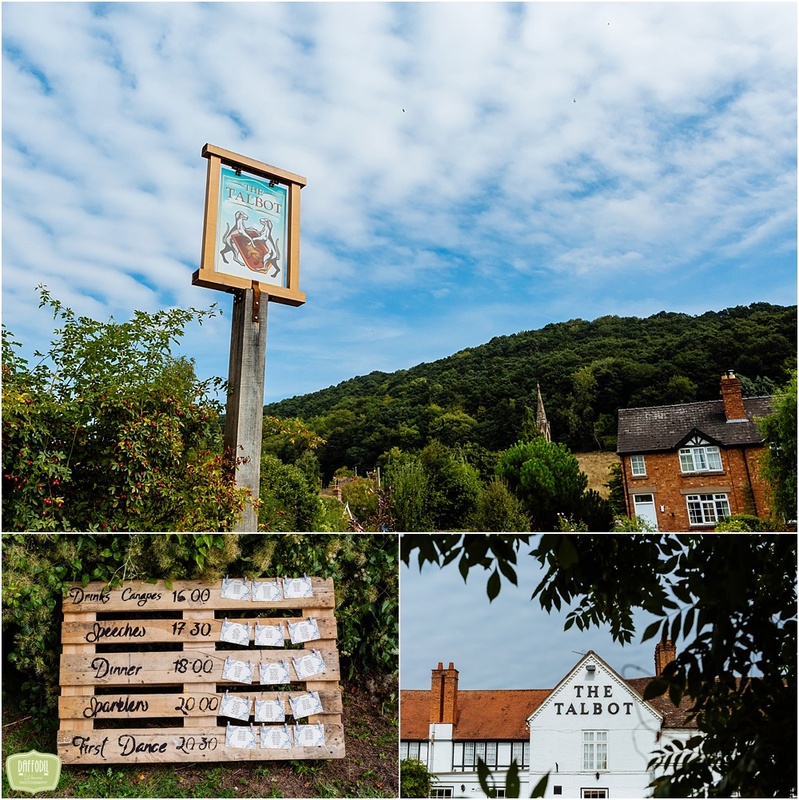 We also caught up with Alex and his groom’s party (who were having a cheeky pint) at The Talbot at Knightwick. 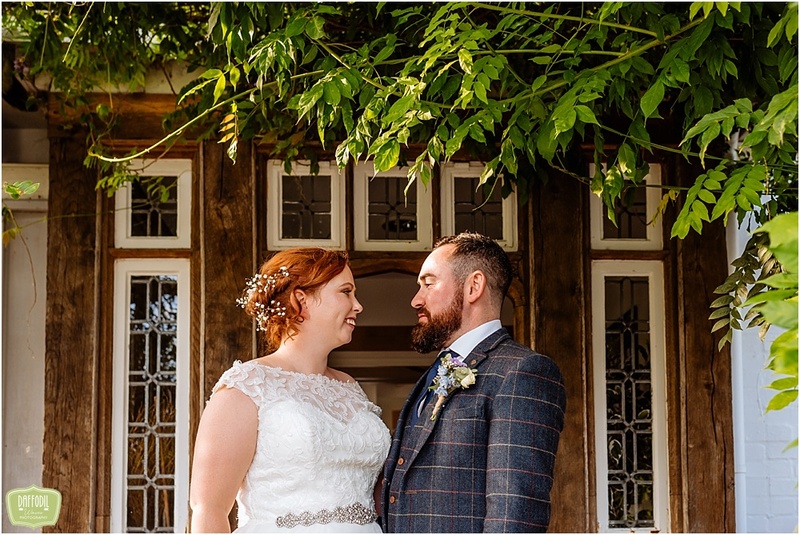 Bridie looked beautiful in her dress bought at ‘A Stitch in Time’ with bouquet (and all the other flowers at the wedding) provided by Rosara Flowers. 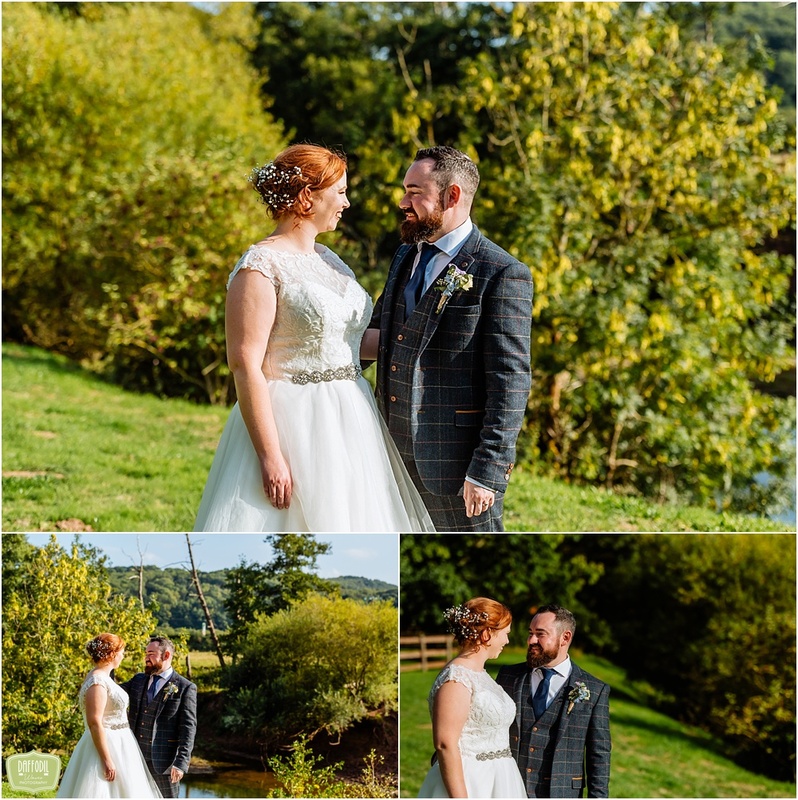 Bridie’s smile was infectious and really set the tone for a fun day! 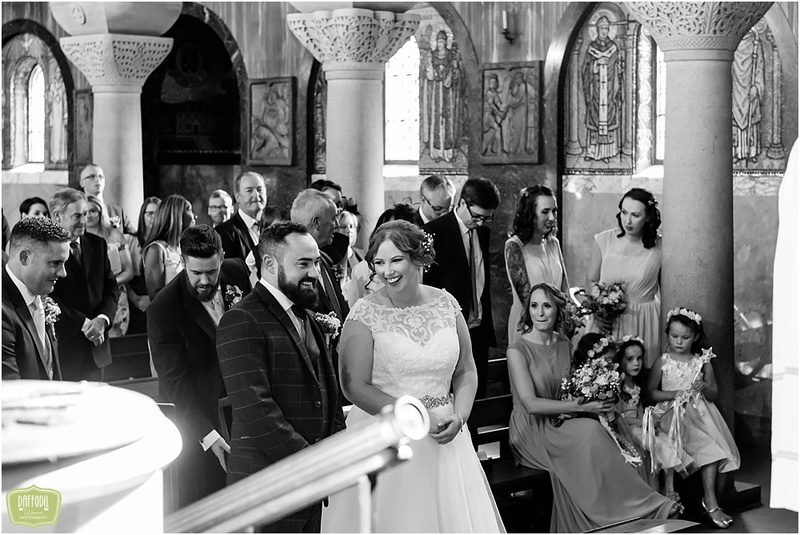 The ceremony was held at the church of The Sacred Heart and St Catherine of Alexandria in Droitwich Spa. 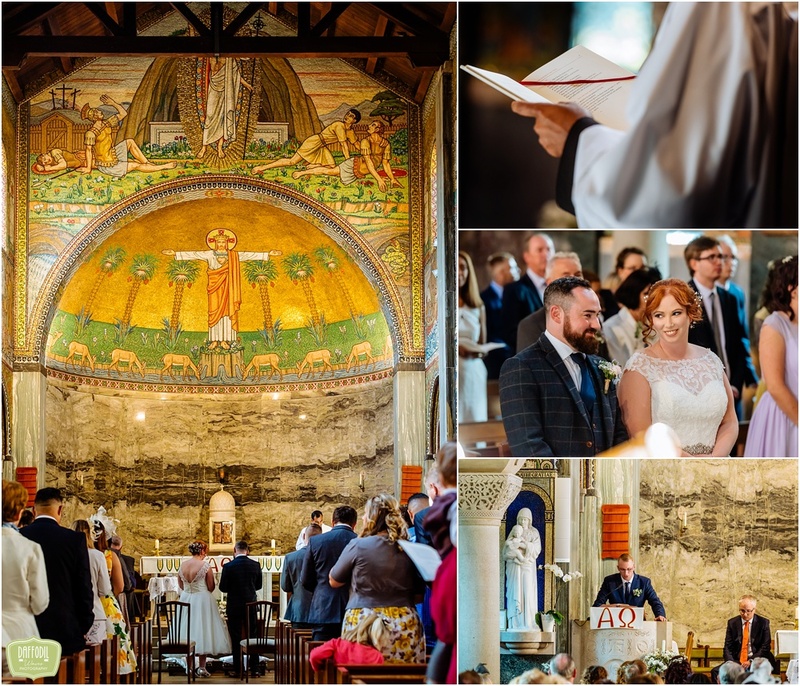 This fine Grade II listed building contains the most stunning mosaics and sculptures. 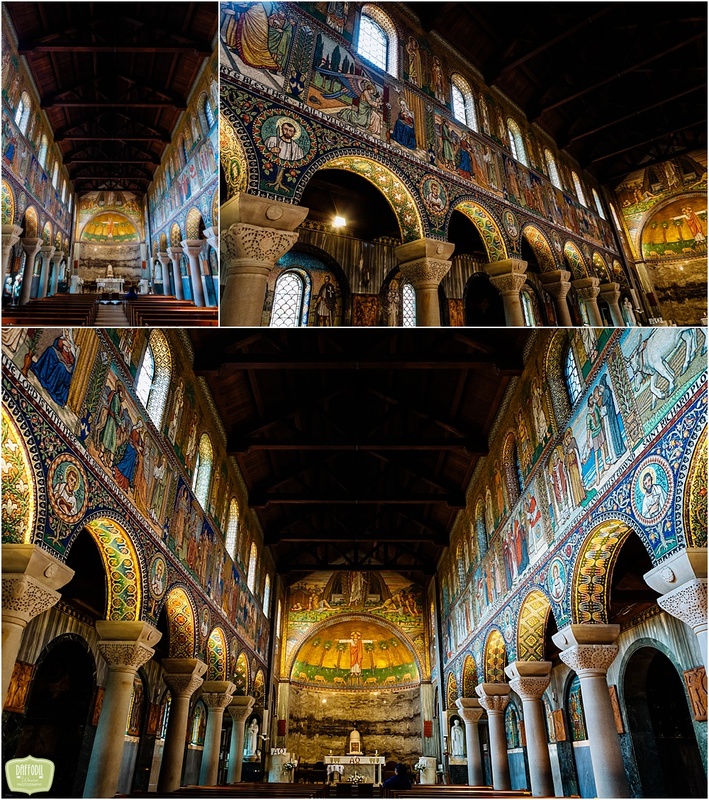 Entering the church the site of them just takes your breath away. 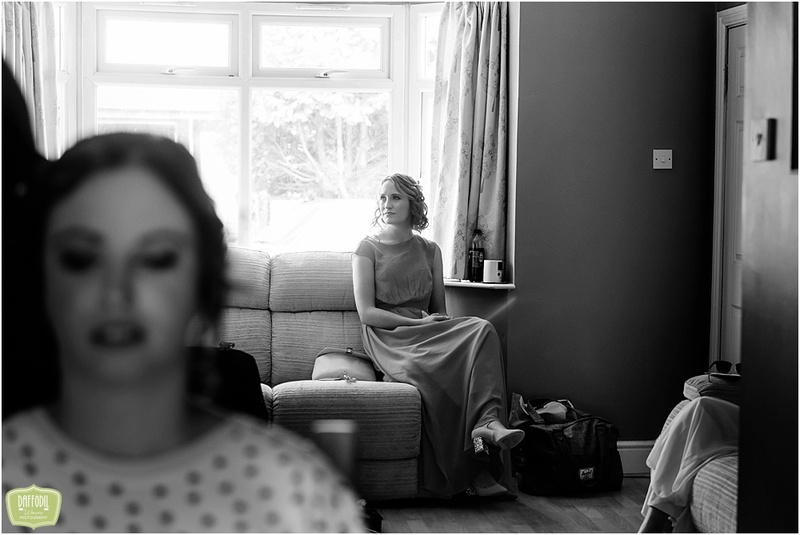 But don’t take my word for it take a look at my images. 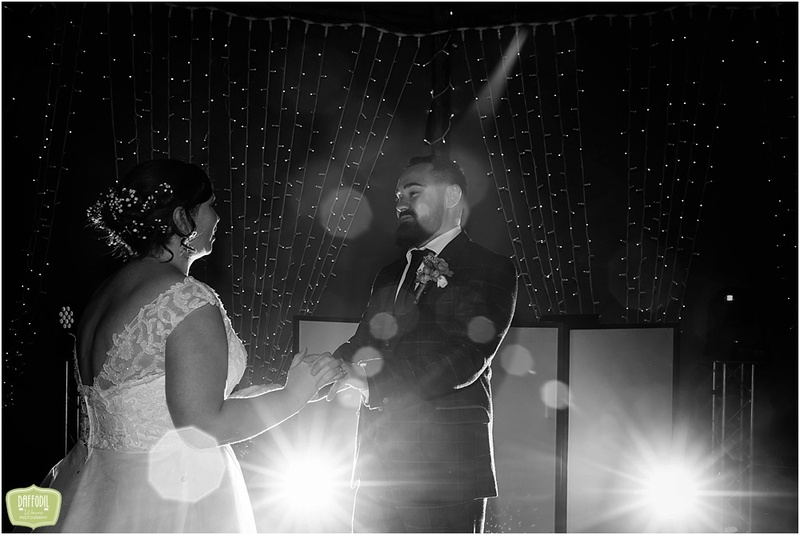 It made the most beautiful backdrop when capturing Bridie and Alex’s wedding ceremony. 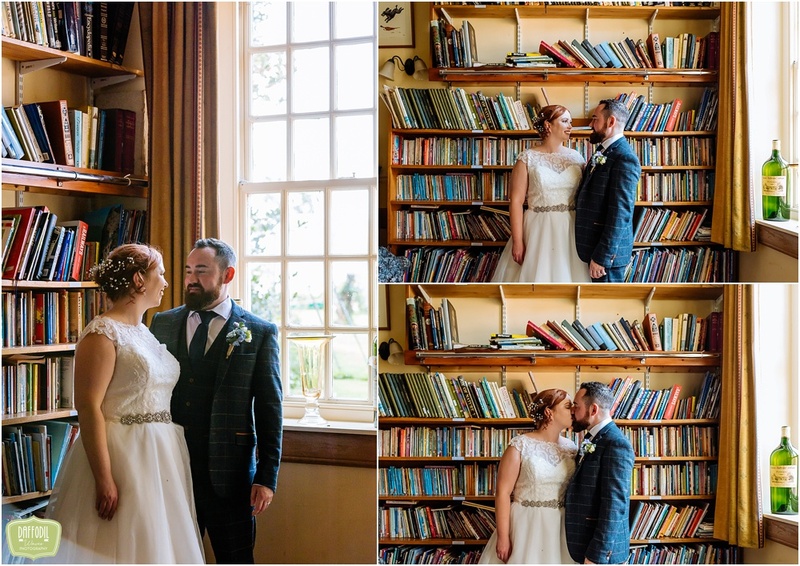 After the ceremony there was a lovey confetti moment and the chance to take some photographs. 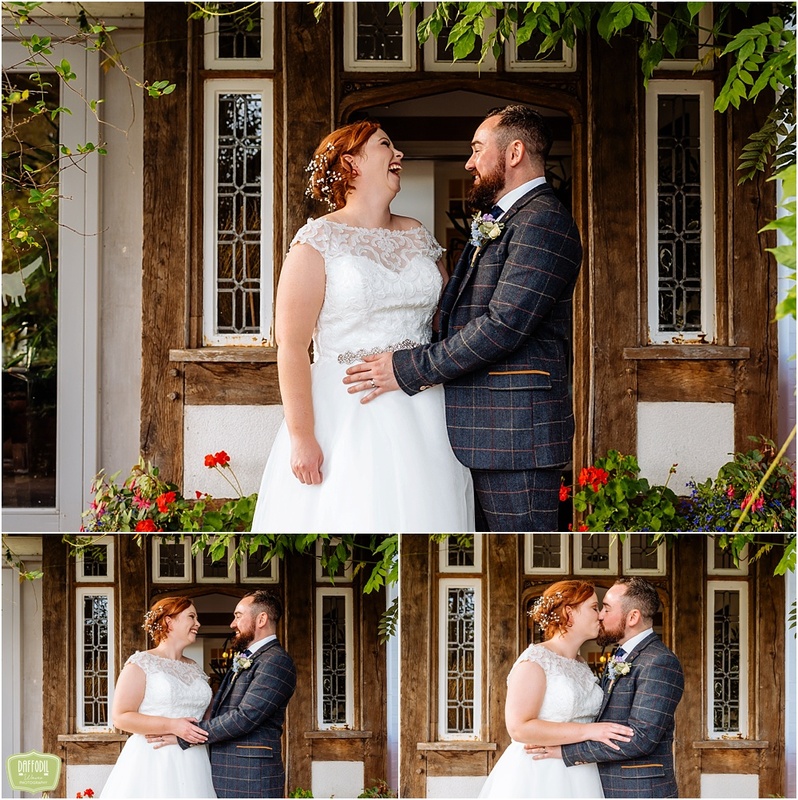 Now shooting wedding photography at The Talbot at Knightwick was a pleasure. 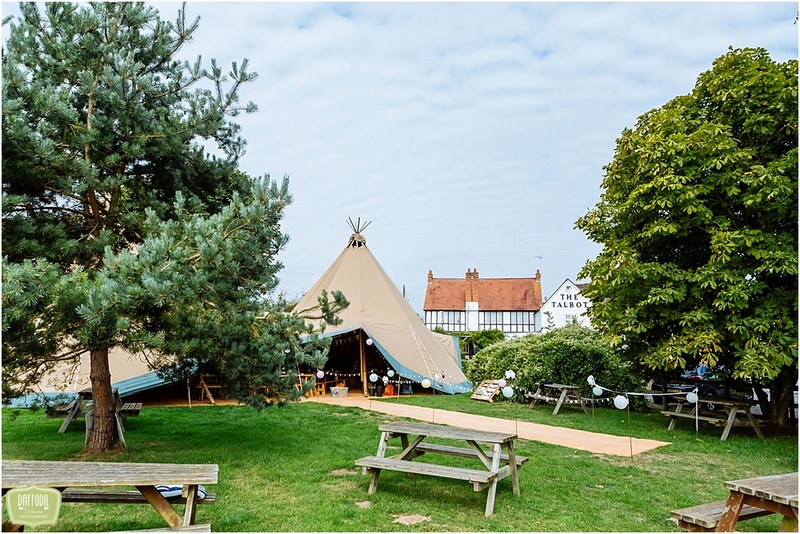 This 14thcentury traditional coaching in is a must for foodies looking for a warm welcome. 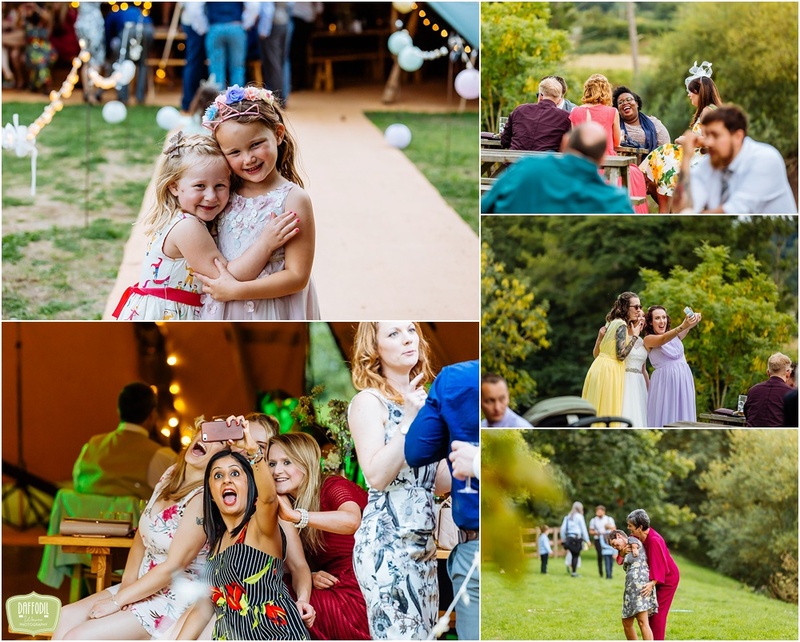 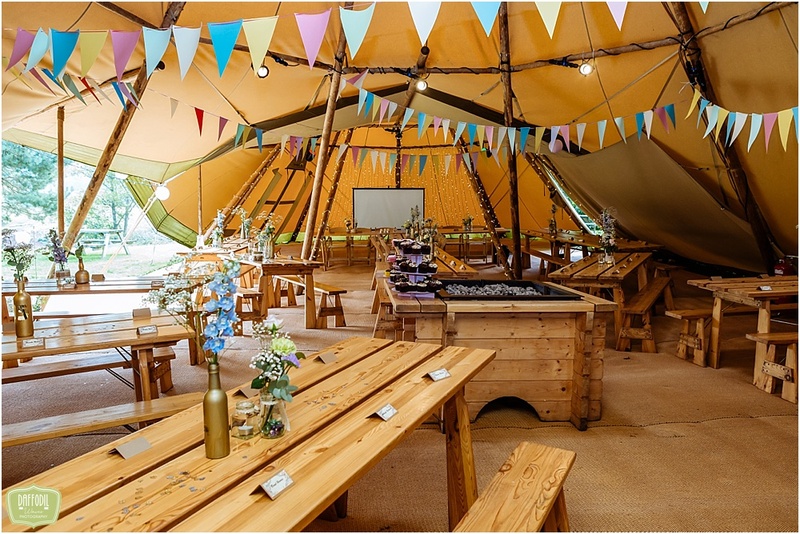 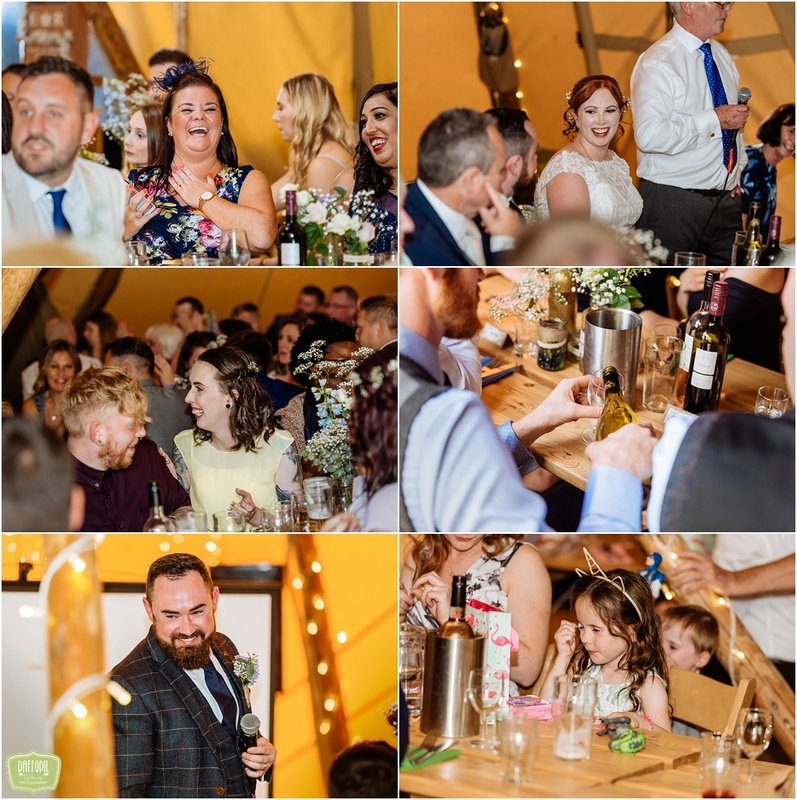 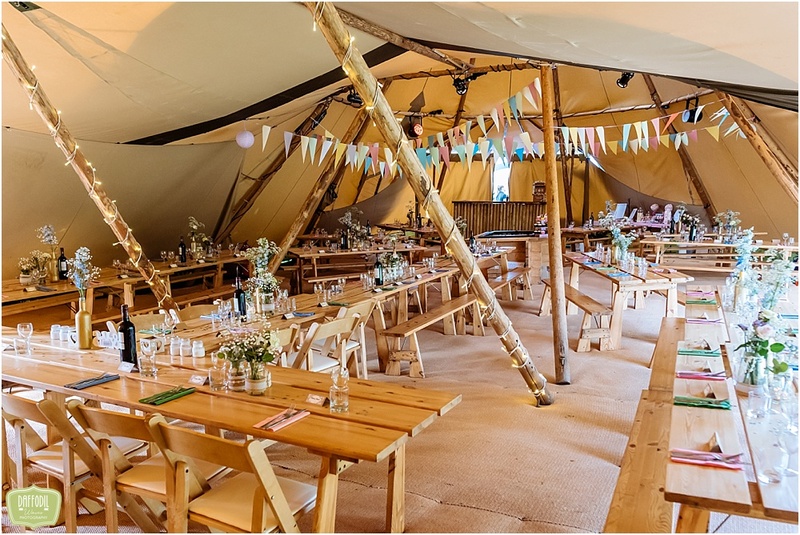 Set in the pretty village of Knightwick The Talbot, with its countryside location within the Malvern Hills District, is a popular location for campers so where better to have a Tipi wedding. 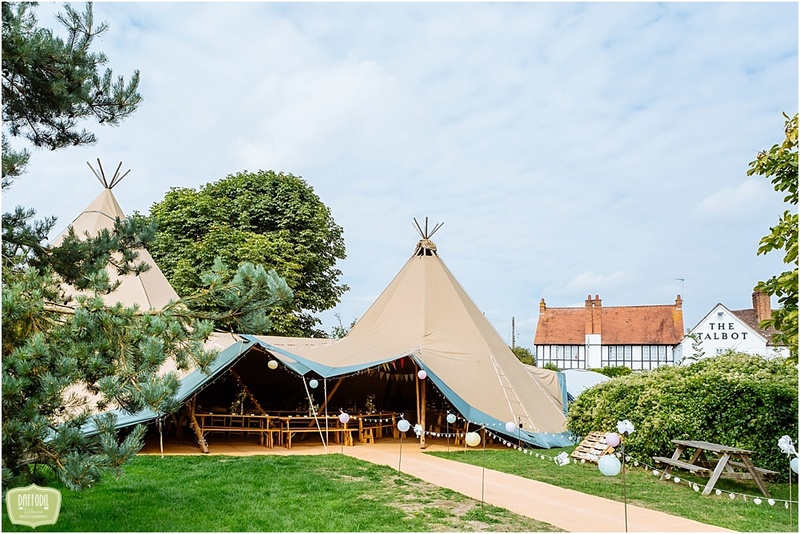 The Tipi looked amazing all set up and ready for Bridie, Alex and their guests. 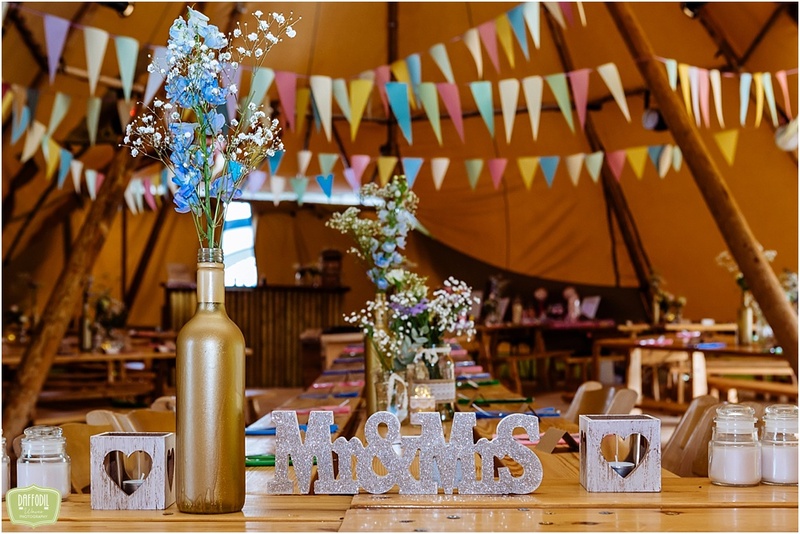 Take a look, it’s the epitome of laidback rustic charm. 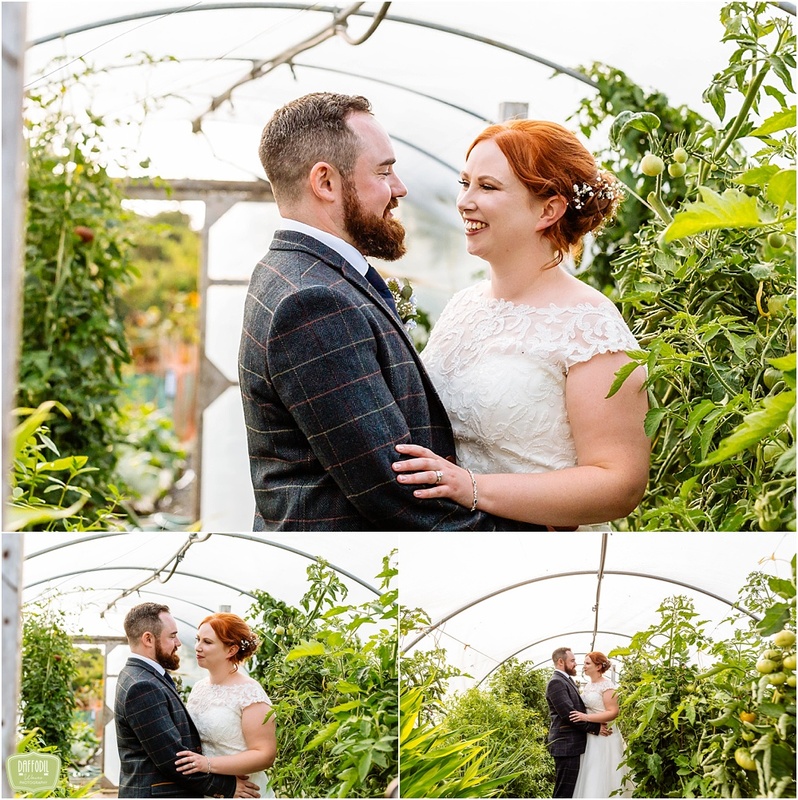 On arrival Bridie, Alex and their guests all enjoyed a drinks and canapes reception outside. 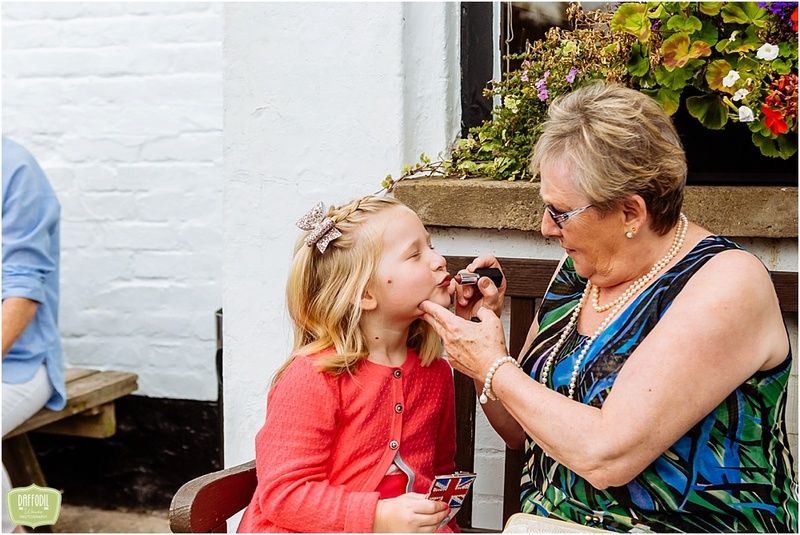 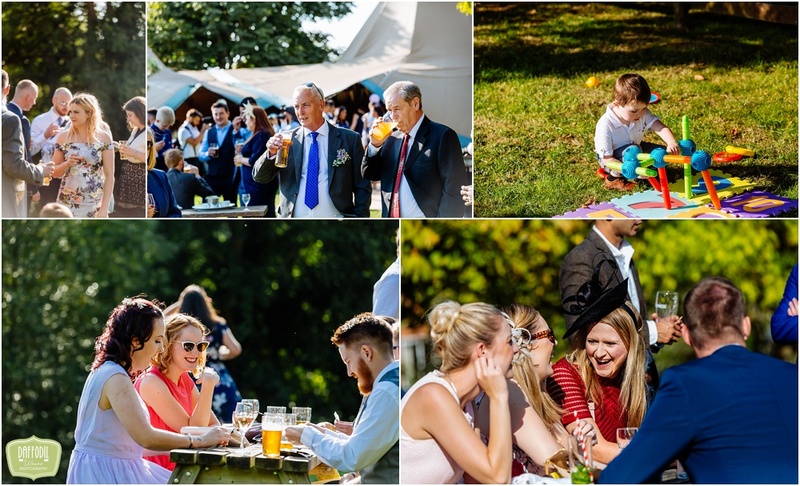 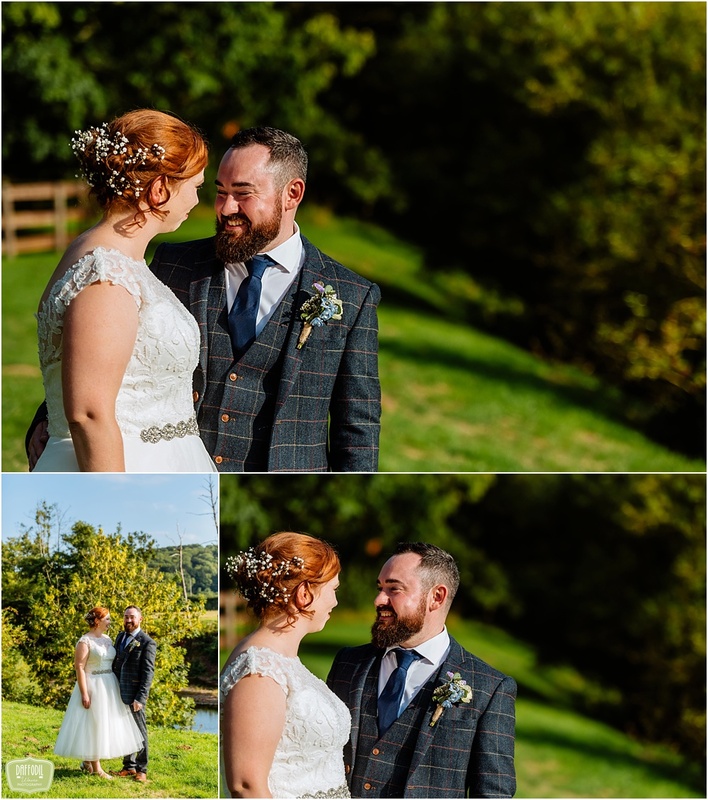 With the sun shining, children playing and everybody mingling it was the perfect moment to whisk Bridie and Alex away for some quick romantic portraits shots around the grounds of The Talbot. 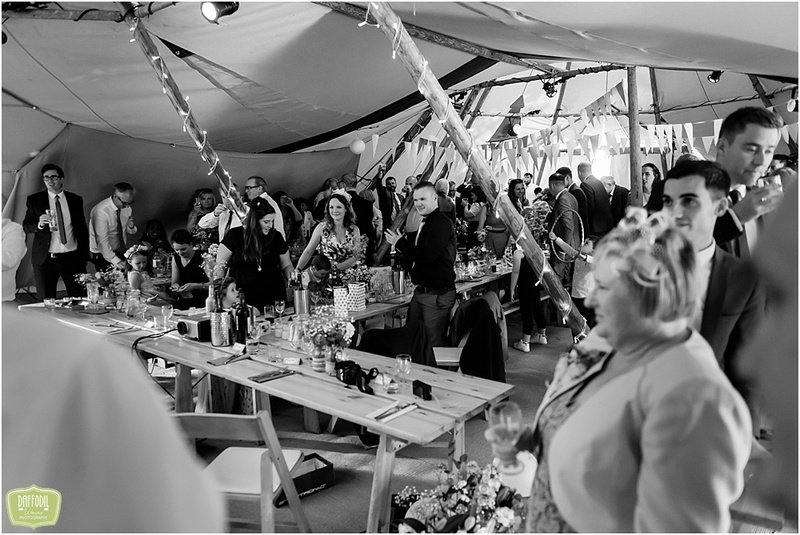 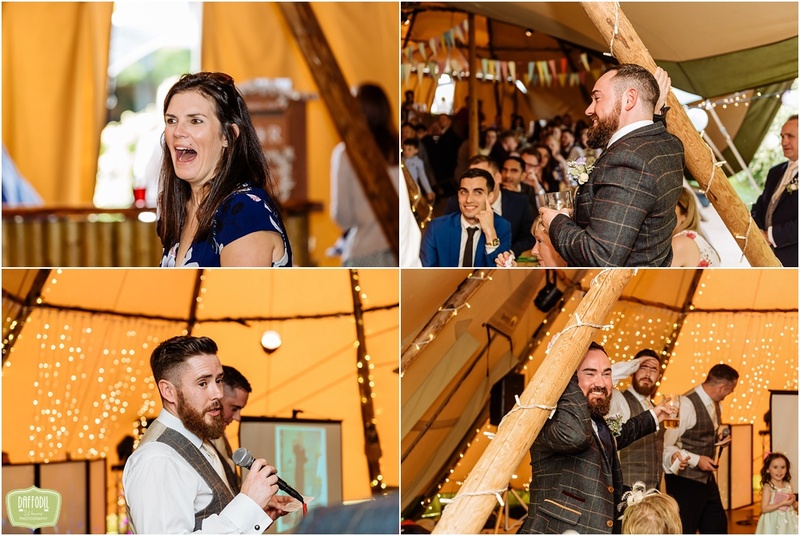 Everybody was then seated in the Tipi for the wedding reception which started with some very well received speeches before food was served. 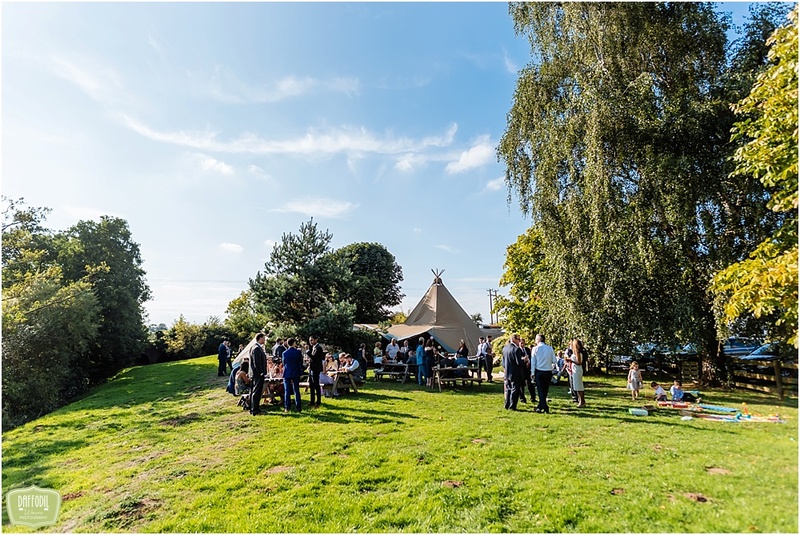 The Talbot prides itself on good food sourced locally so Bridie, Alex and their guests were all well fed and watered. 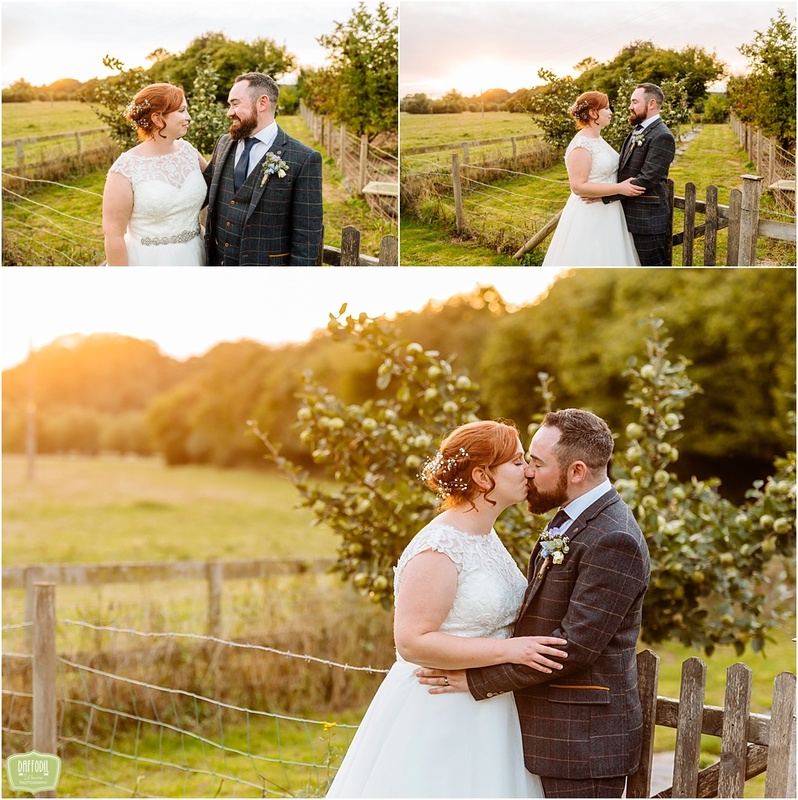 I then took my chance to get a few portrait shots of Bridie and Alex making good use of the early evening sunshine. 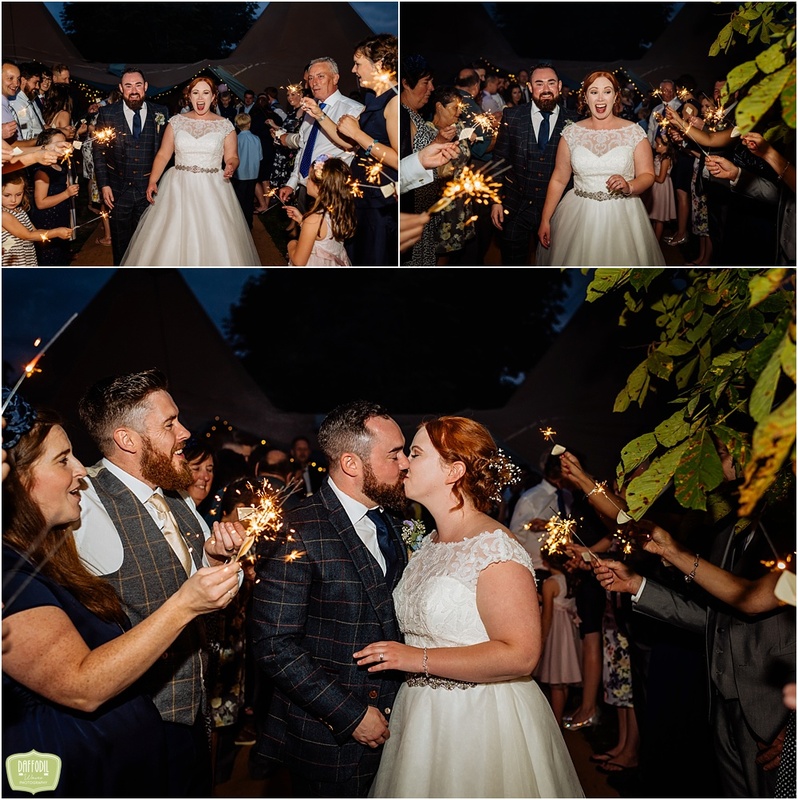 The evening’s entertainment started with a gorgeous sparkler procession followed by a romantic first dance. 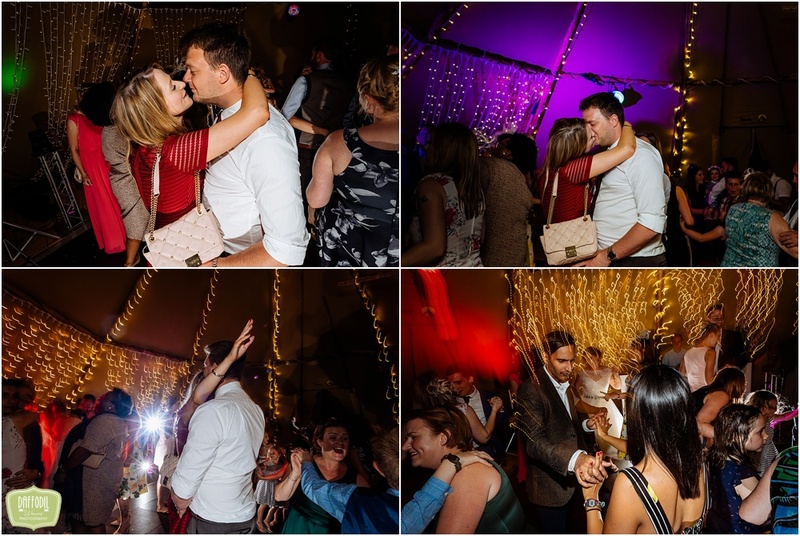 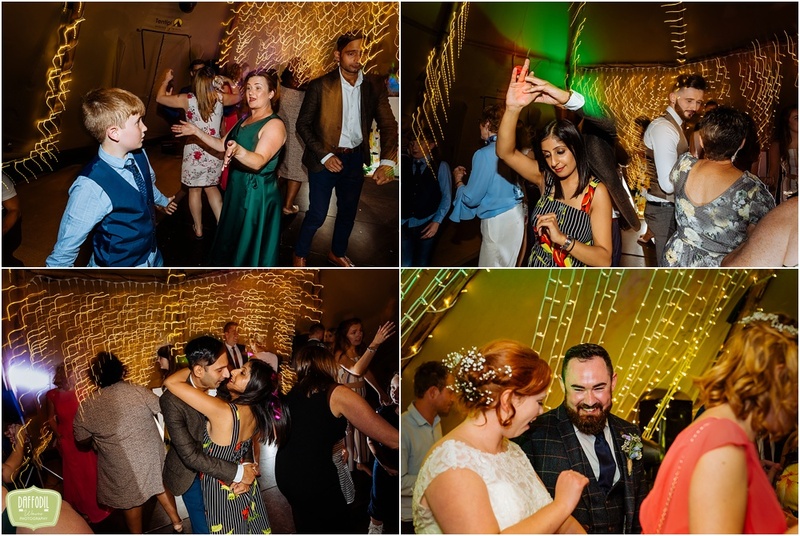 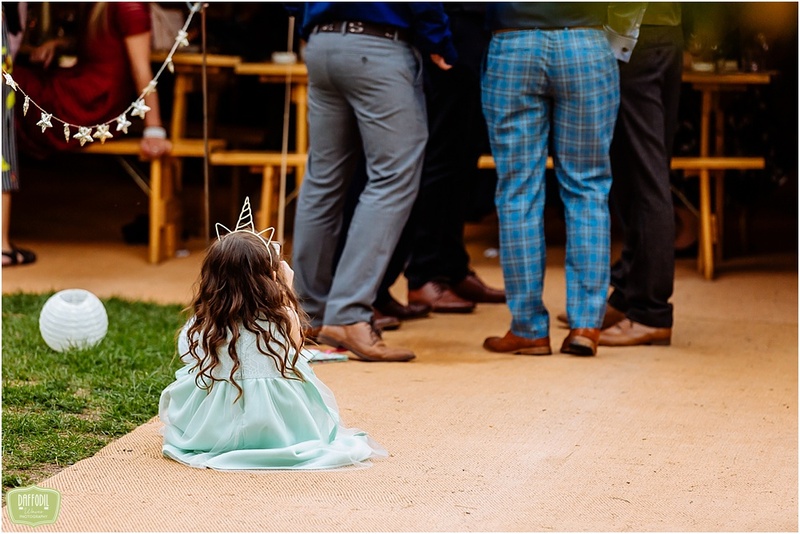 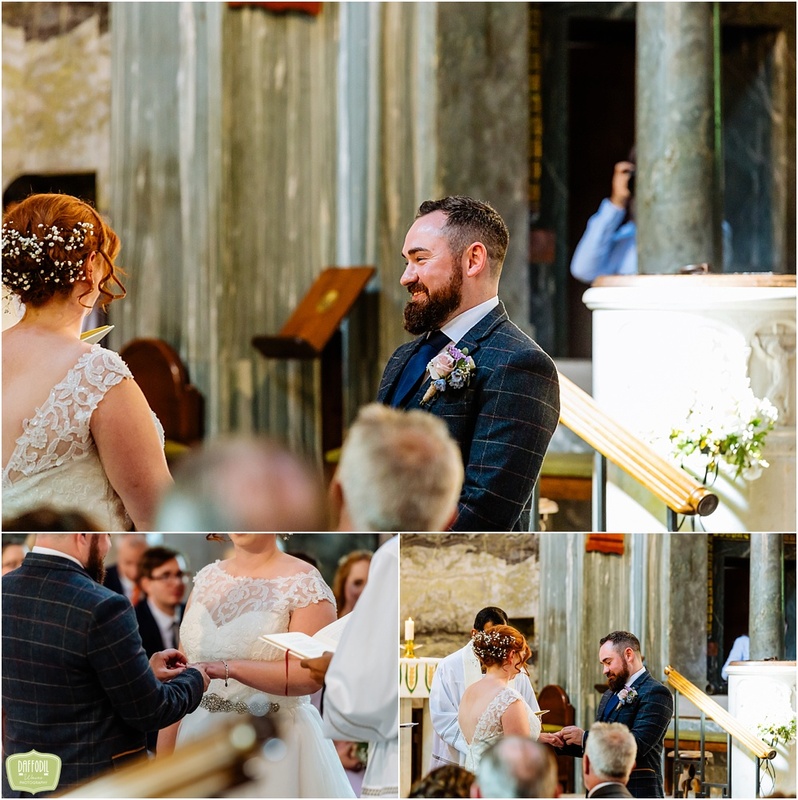 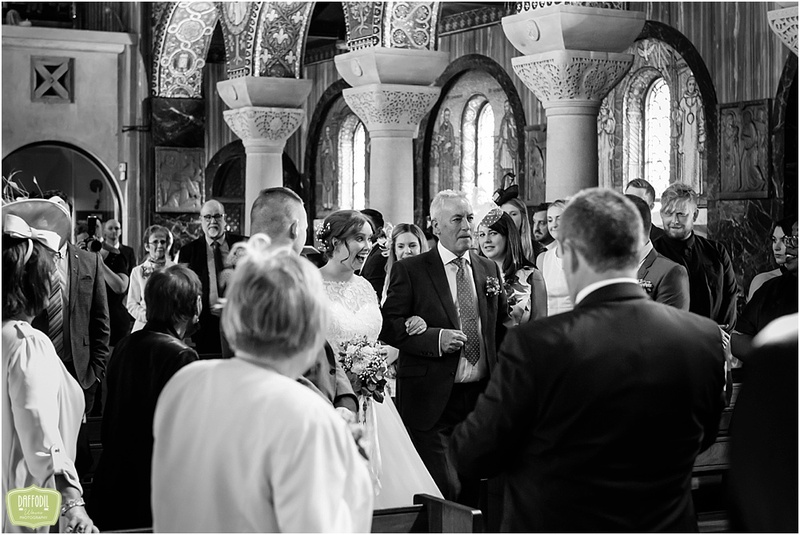 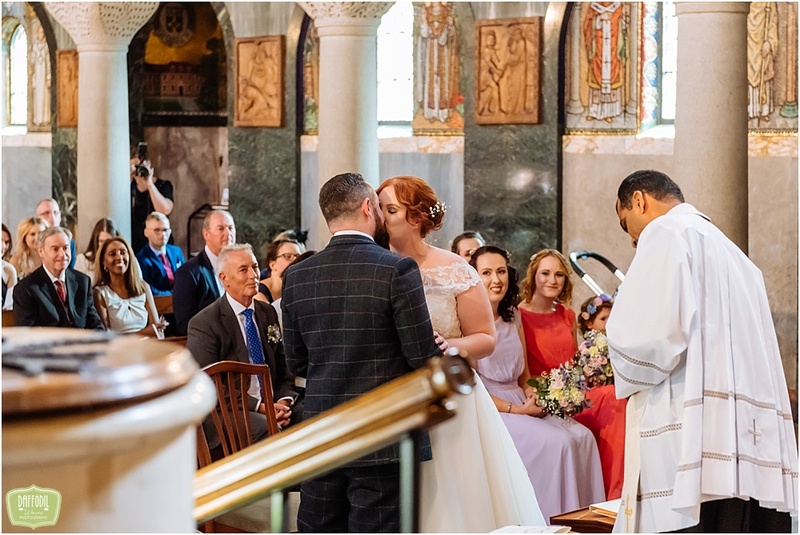 It wasn’t long before Bridie and Alex were joined on the dancefloor by family and friends and it was the image of them all cutting shapes on the dancefloor that seemed my que to take my leave. 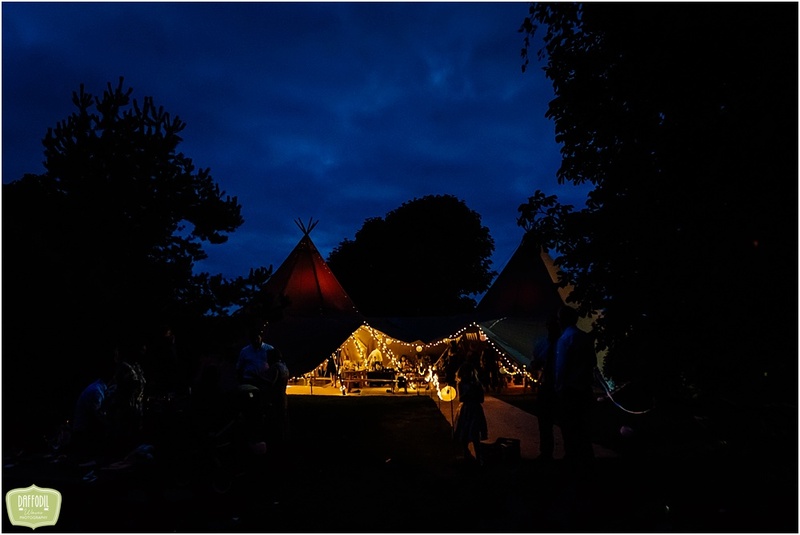 Before getting to my car I took one last shot of the Tipi all lit up with Bridie, Alex and their loved ones all partying inside and it felt like a fitting image to close the story of their amazing wedding day. 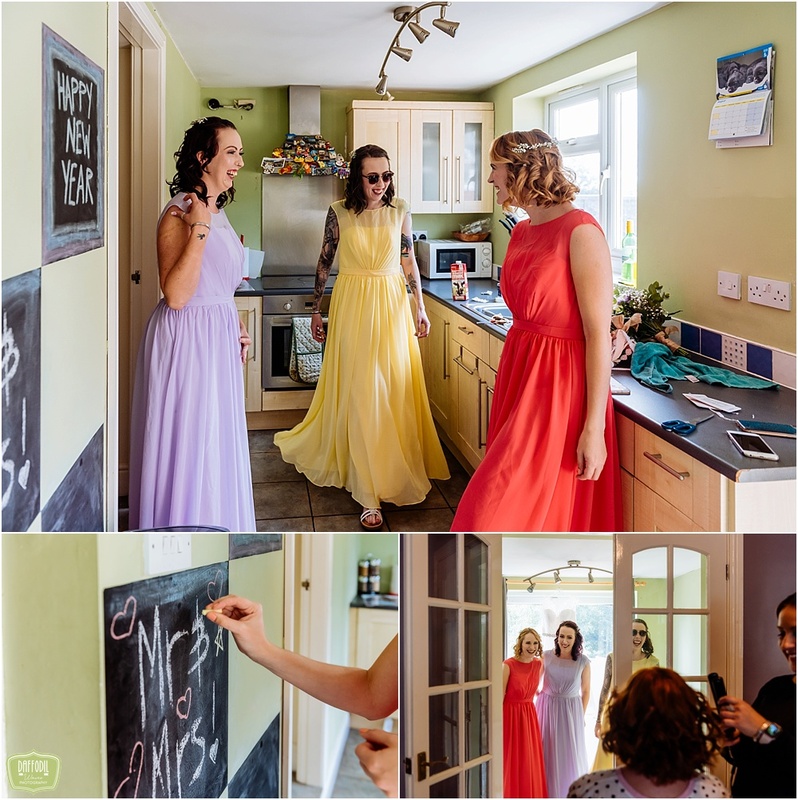 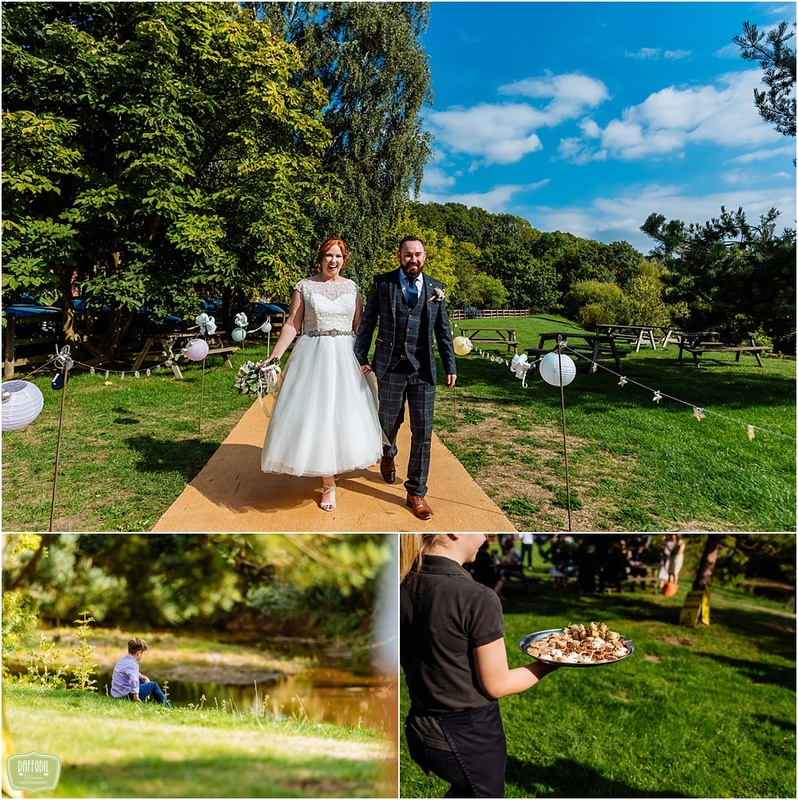 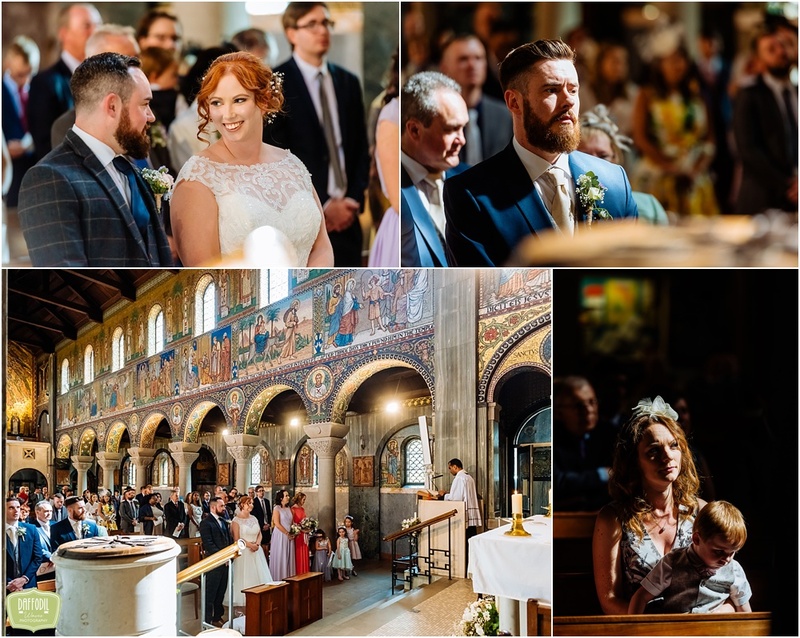 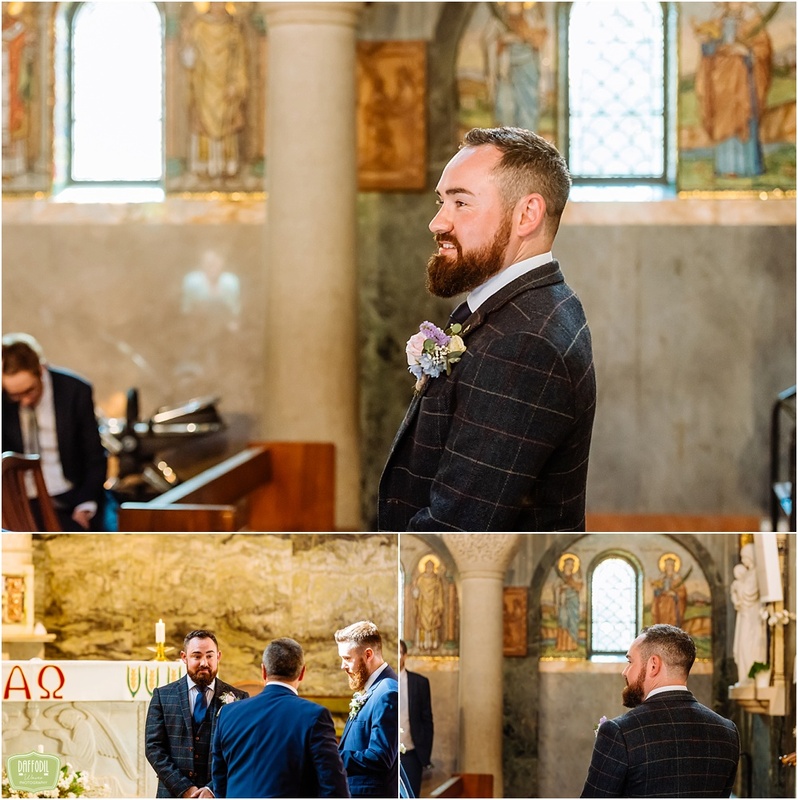 A gorgeously stylish, fun and laidback wedding for this lovely pair. 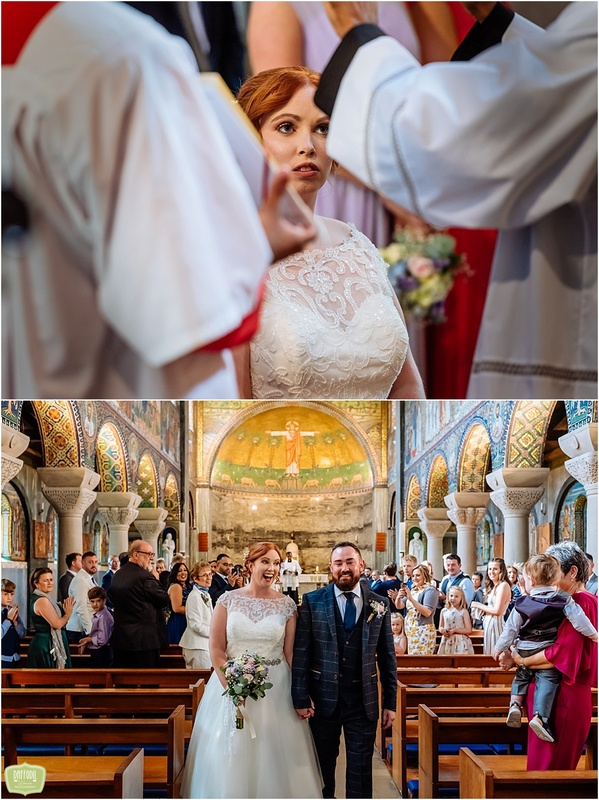 Congratulations to Bridie and Alex for getting married and allowing me to capture it. 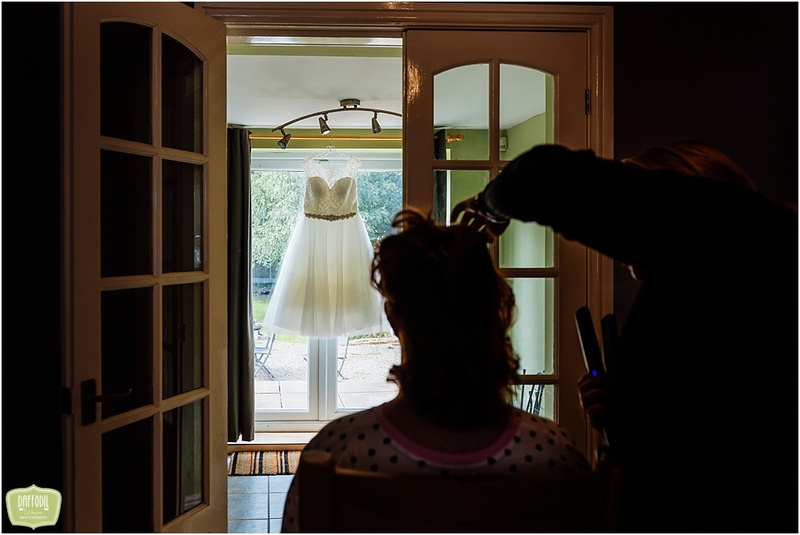 I hope my images will enable you to relive it again and again for many years to come.